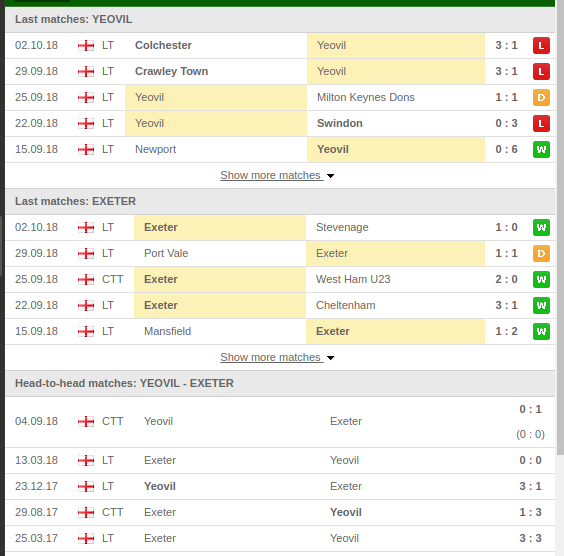 Yeovil had been performing well not forgetting they won 6-0 over Newport away from home but they seem to be running out of steam having lost 3-1 in the recent game to put them at position 14 on the table. They have played ten league games; they won four, drew three and lost three. They won one game out of the five home league games. 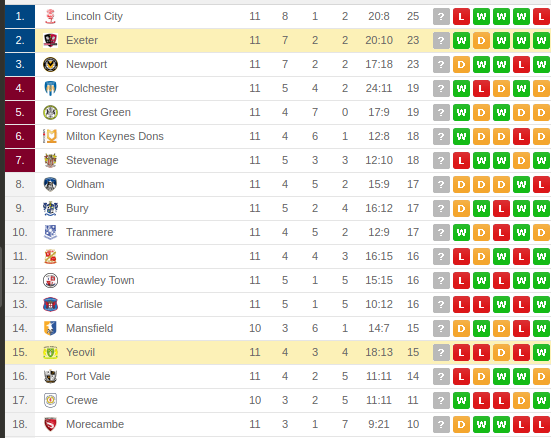 Since a new management took charge of the club, Exeter have been performing well been third on the table with twenty points. They were held on a 1-1 draw by Port Vale having conceded in the late minutes of the game. 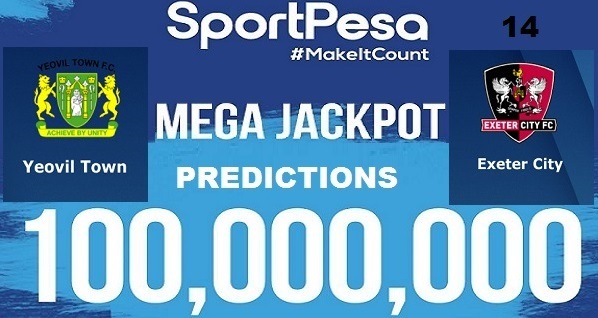 They have produced fine results away from home having lost one game in the five away games. Yeovil have won five games, drawn seven and lost five in all their meetings with Exeter.